The pathway on the North East side of Arts West (Building 148) provides a continuous accessible path of travel to the cloister via the gardens. Once in the undercover cloister there are automated doors at both the North-West and South-East ends of the building. Alternatively there is access off Medical Road. At this entrance there is a platform lift to ascend to ground level. 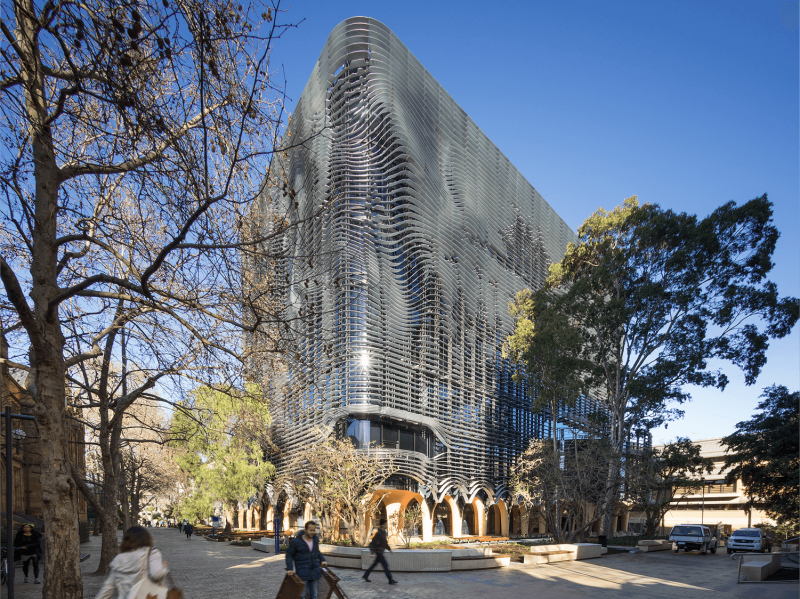 There is also a ramp at the northern end of the Baillieu Library (Building 177) that connects to the Arts West Atrium. Once inside the Atrium there is an inclined surface that provides access to the lifts for the North and West wings. These provide access to every level. Moving between the North and West wings is either at grade, via a ramp within the atrium or lift near the western stair. Access to the Kathleen Fitzpatrick Theatre on B2 is via the lift in the Western building. In case of an emergency a refuge point has been provided within the Western stair of the North wing. Accessible toilets are located on every level in the North wing and levels B1, GF, L1 and L2 in the Western wing. A male and female ambulant toilets are provided on every level in the North wing and on GF and L2 in the Western wing. All toilets include identification signs and braille information. Every typical teaching space either has an electric or manual height adjustable student table. Every teaching point or lectern provides an accessible height surface or is electrically height adjustable. Three wheelchair spaces are provided to Forum Theatre (Room 153). Two are via unassisted access with the third space achieved by removing two removable lecture theatre chairs. A clear open zone is provided in Object Lab II (Room 255) for a wheelchair space. A hearing augmentation system is provided throughout the building. Signage indicates in which spaces that it is available.